Facebook provides a wealth of opportunities for individuals looking to maximize their social presence, and the two primary ways in which it allows you to do this are Facebook Pages and Facebook Groups. On the surface it’s easy to say, Aren’t they, like, basically the same thing? What does it matter if I pick one over the other? News flash: It matters a lot. Although fundamentally similar in some regards – such as both being a platform with which to spread news and information – they differ in how that flow of information, well, flows. Similar to an individual’s Facebook profile, a Facebook Page allows businesses, celebrities, organizations, establishments, public figures, blah blah blah, to create an online presence through the Facebook platform. They are visible to everyone on the Internet (by default), and (by default) anyone can connect with the Page, so as to receive news and information from the Page. But therein lies the key: a Facebook Page is designed to allow information to flow primarily from the Page to its audience. The Page holds the authority and communication power. And that’s the key: a Facebook Group provides its users with a much more balanced level of power than a Facebook Page. Whereas a Page is an audience interacting with the subject of that Page – the lightning rod, if you will – a Group encourages users to interact with each other. Basically, one is a lecture hall (Page) and one is a circle discussion (Group). Fans of a Page cannot necessarily see every other fan of that Page. Page posts appear (by default) within the newsfeed. Groups can be public, private, closed (Group can be found through search but only members can see the posts), or secret (no one can see the Group unless added by an admin). Joining a Group can be done via 1) a Facebook friend adding you to the Group, or 2) you ask to join and an admin accepts the invitation. Groups do not allow much for branding. A small profile pictures is pretty much it. In addition, Groups do not allow for much customization, such as tabs or applications. Which means no competitions, contact page, welcome page, or any other fancy add-on. Group posts do not typically show up in the newsfeed. Instead, depending on an individual’s Facebook settings, Group participants receive a notification about Group activity. That’s really a stupid title, because it’s not about which is better. It’s about which is more effective at transforming information within a specific audience situation. Both serve a purpose, and understanding their respective purpose makes it easier to determine which is, in fact, better. Both for you and your audience. If you want to create a brand based around a single entity, go with a Page. If you want to create a networking or discussion circle, go with a Group. When you create a Facebook Page, there are numerous options presented to you – all of which are covered in a previous part of this guide, How to Create (and Promote) a Facebook Page. Still, it’s important to reiterate the differences between the categories of Facebook Pages, as picking the wrong one could hinder a Page’s success. 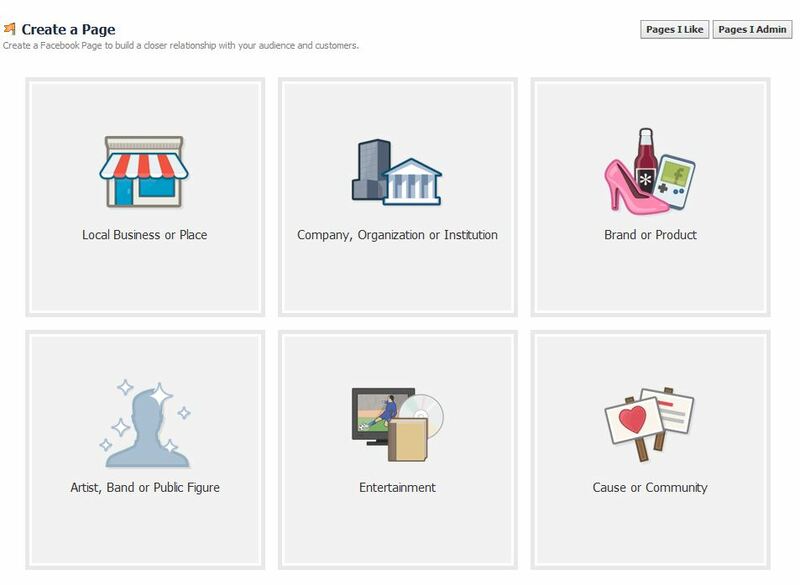 In a nutshell, your Facebook Page category provides an individual with a succinct, accurate description of the Page. So use it to your advantage.